IBM Corp. intends to forge stronger bonds between its messaging and collaboration tools with updated versions of Lotus Notes and Domino, which were launched last month at the Lotusphere user conference in Orlando, Fla. Marking the 20th anniversary of Lotus Notes, Armonk, N.Y.-based IBM used the annual Lotusphere event to officially launch the third beta for Notes and Domino 7, with the final product slated to ship this summer. Notes and Domino 7 offers tighter integration with IBM’s DB2 Universal Database and the Eclipse and Java-based IBM Workplace platform, according to IBM. Notes and Domino 7 can support 80 per cent more users, IBM said. It also uses 25 per cent less processing power, the company said. The new version of Notes and Domino features tools to automatically convert applications into XML-based Web services. IBM also unveiled Domino Designer, a visual, script-oriented programming tool that creates Notes and Web-based applications, and new Domino Domain monitoring tools to help enterprises consolidate data on fewer Domino servers. During the opening keynote address, Ambuj Goyal, general manager of Workplace, portal and collaborative software (Lotus Software) at IBM, said the announcements were designed to put an end to the “two-lane highway” approach and provide tighter integration between Notes and IBM’s two-year-old Workplace messaging and collaboration platform. In the past, Lotus Notes and Domino users were concerned about the company’s product road map, particularly as IBM had focused more on J2EE and WebSphere collaboration technologies. Notes/Domino and Workplace are now on the same path, Goyal said. Future versions of Notes will fall under the Java-based IBM Workplace platform umbrella, he added. Joanne Clerk, national sales manager, Lotus software for IBM Canada in Markham, Ont., said IBM remains committed to end users employing Lotus Notes and Domino technologies. Daren Collins, IT infrastructure manager for TransAlta Corp., a Calgary-based power generation company, attended Lotusphere to get a clearer understanding of the Lotus/Domino road map. TransAlta recently extended its Lotus Notes and group calendars to the Web and integrated the software with the SAP AG’s Enterprise Portal product. TranAlta has been a heavy Lotus user since 1996, Collins said, adding that IBM outlined sufficiently the level of support that Lotus/Domino will receive and where the technologies will fit into the IBM Workplace framework. Hugh Roddick, director, application development and Internet division, client services centre for Health Canada, said the Ottawa-based government agency is a large Lotus shop. Roddick said Health Canada is currently migrating from Lotus 5 to Lotus 6.5.3. Health Canada is a large organization and the biggest challenge is around data consolidation, Roddick added. 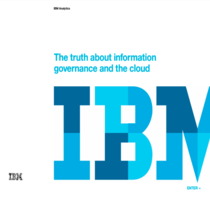 “The IBM announcements are of interest to us,” Roddick said, adding that the agency has a large document management investment and is looking closely at the IBM/Lotus tools involving DB2 and Web content management technologies as ways to deal with the consolidation conundrum. The latest version of IBM Workplace, now dubbed Workplace Collaborative Services 2.5, offers document and Web content management, e-mail, calendaring, instant messaging and Web conferencing. A new Activity Explorer feature lets users organize e-mail messages and other documents from a single interface, according to IBM. Workplace will be available on a per-processor licensing model. Goyal said IBM also plans to target Microsoft customers using the Exchange 5.5 platform to take advantage of delays Microsoft has had in releasing a new version to replace Exchange 2003.